2015 marks the 150th anniversary of the Three Cent Nickel Piece. The coin was designed by James Longacre and featured the head of Liberty in a simple cornet and ribbon, and a large Roman numeral III on the reverse surrounded by a laurel wreath similar to that seen on the copper nickel cent of 1859. Numismatic Expert Mike Sherman sheds light on the origin of the Three Cent Nickel and factors that led to its demise. A strong luster shows off 100% natural toning shades of blue and burnt orange/gold. PCGS has graded only two higher. In today’s world we are always on the go. If you are like me your mobile phone is your constant companion and keeps you connected to what’s going on. PCGS has developed four mobile apps that help keep you connected to your coins. Easy to download and simple to use, these applications offer a tremendous amount of information that was unthinkable just a few short years ago. With our mobile apps you have immediate access to virtually all of the information that can be found on PCGS.com. Check out our mobile apps at www.pcgs.com/apps. Where have you purchased the majority of coins in your collection? Participate in this survey and you could win a PCGS Polo Shirt. Submit your own survey question! Email your question (plus multiple choice answers) and see if your question makes a future eCollector. Our team here at PCGS Studios have been feverishly working on the influx of submissions due to two quarterly specials. A lot of you are taking advantage of the free TrueViews on the first five coins submitted this quarter, and the Registry Set special for half-off TrueViews with reholder submissions. Time is running out on these special offers, so make sure you take advantage by March 31st. This PCGS-graded MS65 example of a 1878-S Trade dollar was from the last year of trade dollar business strike issues. What is my Silver Nickel Worth? 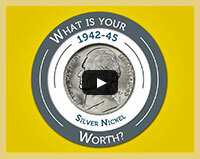 Want to know how much your Silver Nickel is worth? Check out our one minute guide to finding out how much your coins are worth! 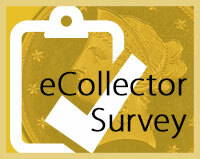 Gold and silver issues drop – how much did it affect the value of your collection? 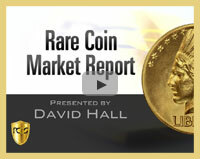 David Hall also reveals what he thinks is one of the best things that PCGS has brought to market. Join in on the conversation about a variety of U.S. 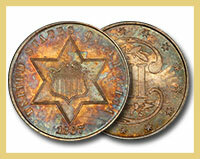 Coins and how PCGS can help you improve the quality of your collection. Come see what it’s all about! 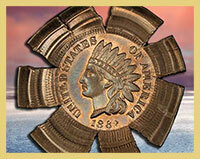 If you do not wish to receive future email communications from PCGS Newsletter eZine, click here.